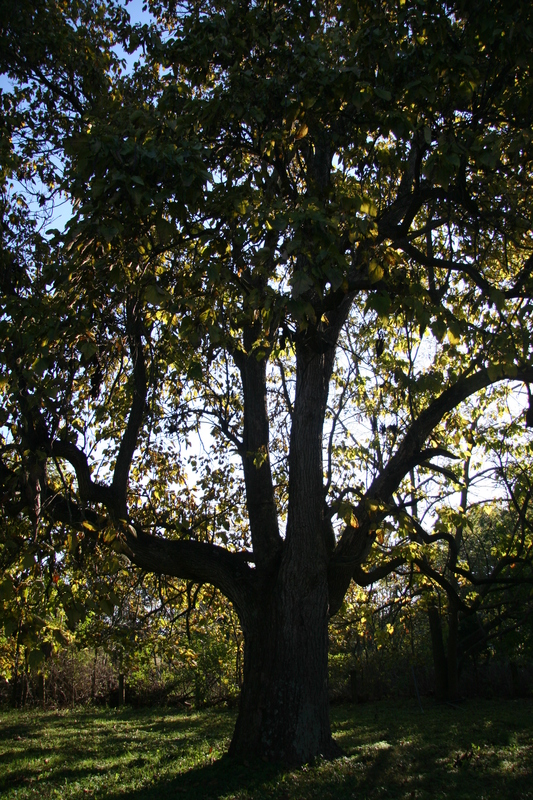 While not native to Delaware, catalpa is found in yards and other urban areas throughout the state because it is tolerant of many soil conditions. Also known as the cigar tree due to its long seed pods, the catalpa has large heart-shaped leaves and showy white flowers. The wood is soft and brittle and is sometimes used for carving. Catalpa leaves provide dark shade and good shelter for birds. Catalpa fruit resembles bean pods with a number of small flat-shaped seeds with tiny papery wings that aid wind dispersion.